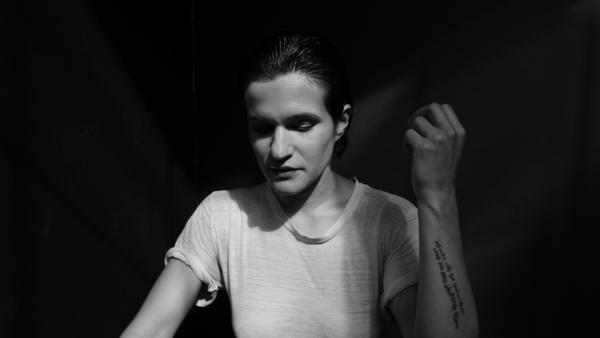 Adrianne Lenker will release abysskiss on Oct. 5. As the lead singer of Big Thief, Adrianne Lenker has shown an incredible gift for pairing tender empathy with raw power. The band's first two albums, 2016's Masterpiece and last year's Capacity, are awash in bluster, but always grounded by the intensity and intimacy of Lenker's songwriting. Fortunately, her prolific nature extends beyond her main band. Lenker was a solo artist before Big Thief — a 2014 album, Hours Were the Birds, showcases an early draft of her sound — so it's only natural that she'd return to her own name for compositions that call for quiet arrangements. She's written a lot of songs during Big Thief's rise, and now some of them will have a home on abysskiss, due out Oct. 5. Co-produced by Luke Temple of Here We Go Magic, abysskiss features "cradle," below, which sets Lenker's tender vocal against plucked acoustic guitars. Compared to Big Thief's densely packed anthems, the song floats like a whisper, with a kind of music-box delicacy. But it hits hard. abysskiss comes out Oct. 5 via Saddle Creek.